Who would've thought it would be 2018, and Rocky Balbao would still be in a movie hitting theaters. Thankfully, the iconic sports franchise got a reboot three years ago that surpassed all expectations. 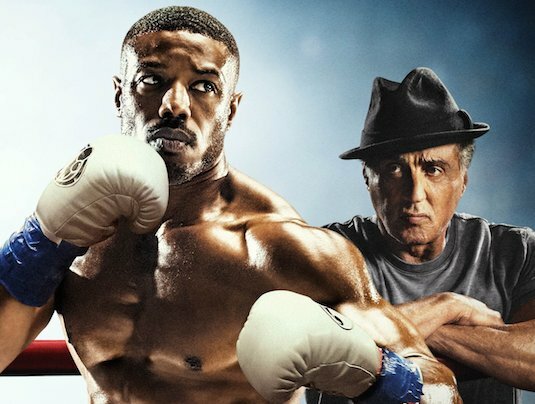 With that kind of success, it shouldn't have come as a surprise that we'd be getting a sequel to Creed with the stakes even higher. This time, the son of Apollo Creed would be facing off against the son of Ivan Drago; the man who killed his father in the ring. The much anticipated story was put in the hands of up and coming director Steven Caple Jr., with the responsibility of not only bring back an iconic villain, but also stepping into the shoes of the talented Ryan Coogler (Black Panther, Creed). No pressure Steven, no pressure at all. 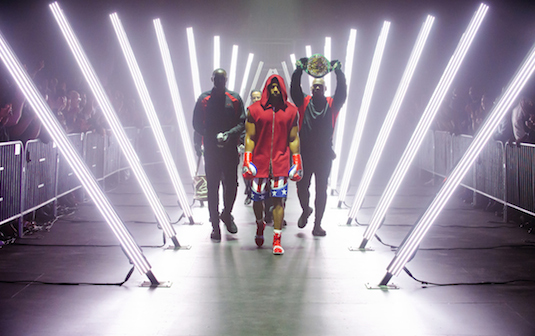 As a stated above the film follows the now champion of the world Adonis Creed, son of famed boxer Apollo Creed. With things looking good in both his personal life with his girlfriend Bianca, and his career, Donny is blindsided by a challenge to fight Viktor Drago. The raw and unknown Viktor has been training in Ukraine with his father for the right opportunity to take on Donny in front of the world, giving boxing fans the match of their dreams. With his father's death at the hands of Viktor's father to motivate, Donny is now left with the chance to finally do what his dad couldn't and beat a Drago once and for all. One of the biggest challenges the film has to tackle is taking the over the top story of Rocky VI and grounding it in realism. Caple Jr. and co. manage to pull this off perfectly, specifically in the way they've added depth to Drago's character. You really feel like this was a man who has been shunned by his own country and even those close to him, and that motivation is made clear through scenes between him and Viktor. While I could've used more scenes developing the relationship between Ivan and Viktor, its made clear that the later Drago is tough on his son. Making Viktor a more quiet character who showed little emotion around anyone aside from his father also was key to showing this, and helped make his character even more intimidating and hard to read. Does he really share a strong hatred for Creed, or is he just doing all this to please his father? 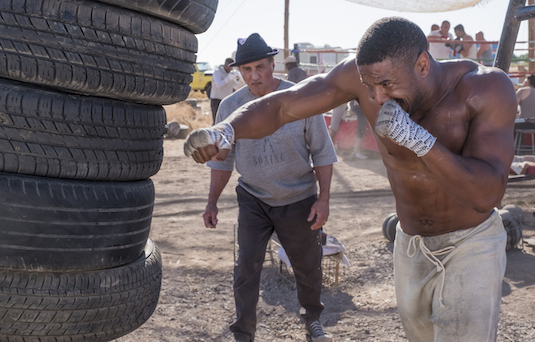 Once again the standout performances come from Sylvester Stallone and Michael B. Jordan. Stallone's further exploration into Rocky's own past mistakes and loses feels genuine, and he gets some great emotional scenes with Donny and Bianca. Stallone plays Rocky as an even more calm and wise figure in Creed's life then in the first film, and it mirrors how Rocky trusts Donny to make his own life decisions. While there unfortunately isn't too many scenes between Stallone and Lundgren, the tension is felt whenever the two are starring each other in the eye. 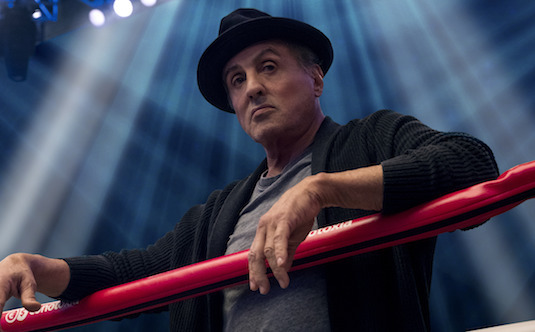 The film makes it clear that Stallone as Rocky is passing the torch to Jordan as Creed, and this is made clear by his slightly more distant presence in the movie. Jordan brings the dramatic scenes to life every time he's on the screen, truly helping the audience feels the frustration and mixed emotions Donny is going through. The contrast between Jordan's portrayal of the character's soft side when he's around Bianca and their daughter, to the anger filled scenes when he's face to face with the man who killed his father is remarkable. Some of the movies most emotional scenes are taken to another level by his performance, and his chemistry with both Stallone and Thompson is certainly a huge factor. As for the direction of the movie, Steven Caple Jr. does a great job injecting his own style while still making it feel like a continuation of what Coogler did the first time around. Unfortunately some of Coogler's signature touches such as the one-take fight scene, as well as the perfect incorporation of the soundtrack in certain scenes aren't present here. Some of the fights in particular probably really would've benefited from Coogler's direction, but I feel Caple Jr. really shines with how he handled personal character moments. There are smaller scenes in the movie and exchanges between characters in the movie that may not seem all that important to the plot, but give us a much better idea of how they interact. In a movie that puts so much focus on parent-child relationships, this is something that needed to be handled well, and it was. 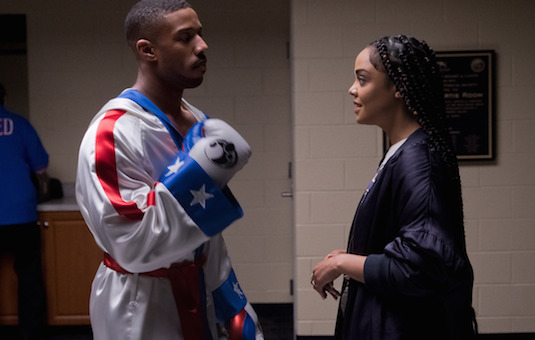 Although the absence of Ryan Coogler doesn't go unnoticed, Creed II is a more than worthy successor to the original movie. It gives closure to some of the most famous story lines in past Rocky movies in a way that doesn't feel fake or forced, and instead feels like a natural progression of boxing history. What the movie likes in some of its style and fight scenes, it makes up for in important dramatic and character moments that further the arcs of the main three characters of this series. 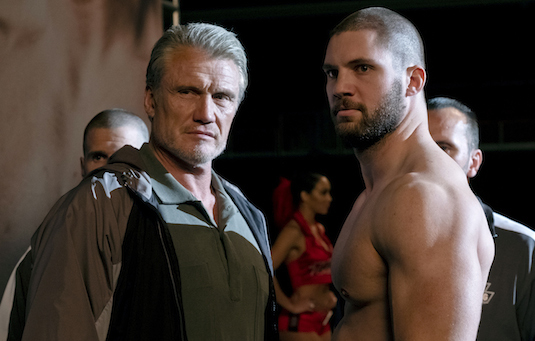 Rocky fans and casual movie goers alike won't be able to resist moving to the edge of their seats when Drago and Creed are in the ring together, and that just proves Caple Jr. and the cast have done their jobs well. 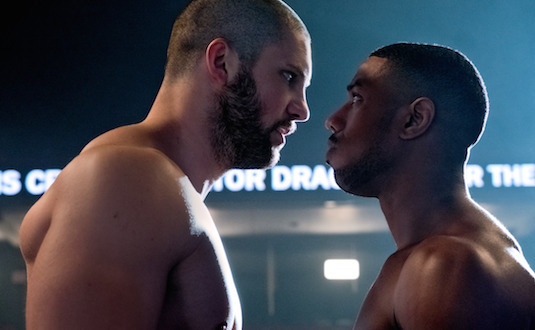 So what did you think of Creed II? Did you think it was better of first then the first movie? Would you like to see another sequel? Let us know below!